Nikon D800 vs D700: time to bag a bargain? Do you really need a D800? On paper, the new Nikon D800 looks incredibly impressive, boasting the highest resolution FX sensor we've seen from Nikon to date and a price tag to match. Priced at £2,399.99, anyone wanting to snap up one of these professional-level DSLRs will be making a serious investment, but – before you max out your credit card – consider this: do you really need all of the bells and whistles that adorn the D800, or would your cash be better spent on its predecessor, the Nikon D700? The Nikon D700 has achieved critical acclaim since its release in July 2008 and has attracted numerous industry awards for its impressive performance and handling. With accolades like the CAMERA GRAND PRIX 2009 Readers Award, numerous top scores in an array of technology magazine reviews and a sustained following among contemporary members of the Nikon photographic community, many professional owners still rate the D700 as a reliable workhorse that continues to meet their exacting standards, in spite of its relative age. As is the case with the perpetually fast-paced digital camera market, with time comes an inevitable price decrease. 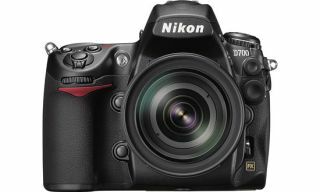 Almost four years after its launch, the D700 can presently be picked up for roughly £1,500 online; so if you opted for it over the newer model, you'd save yourself around £900 – give or take. What better excuse to supplement your new purchase with a top-notch lens or one of the latest Speedlights (or two)? Of course, technology has moved on since the D700 was born, and the D800's inflated price tag reflects the newer, more sophisticated features that it has to offer. The D700's 12.1mp 36mm x 23.9mm FX sensor blew testers away with its high signal-to-noise ratio and subsequently superb low-light performance, as well as the wide dynamic range and excellent level of detail that it was (still is) capable of capturing. While this camera arguably remains capable of standing up to the present-day competition in many respects, there are some merits to be gained by investing in the latest model. Nikon has bestowed a newly-developed CMOS upon the D800 that the manufacturer claims is capable of delivering comparably clean shots at high ISO sensitivities, in spite of the huge increase in resolution that the latest model's 36.3mp FX sensor represents. If this rings true in our tests, then there's no doubt that more than a few Nikon aficionados' heads will be turned by what certainly looks to be a formidable camera. The sensor's resolution hike also has implications for improved general AF performance and accuracy when putting the camera's 3D Tracking System to work, perhaps making it a more tempting choice for the sort of photographer who often works in fast-paced, action-packed situations. Of course, it's not all about megapixels: image quality is affected by all manner of different factors – not least the lens that you choose to couple with your DSLR – so the photographer who has invested in the crème-de-la-crème of Nikon's pro-level optics stands to benefit the most from the D800's headline feature. The inclusion of the manufacturer's latest-generation EXPEED 3 processor assures a snappy performance from the newcomer; although the D700's older processor still delivers a superb handling experience with its fast, accurate AF system and top continuous shooting rate of 5.8fps. By comparison, the D800 promises a slightly slower rate of 4.6fps – the price you pay for packing those extra pixels onto the sensor. Nonetheless, it's an impressive feat considering the volume of information that has to be processed when recording each of the camera's images, which can deliver images anything up to 7360 x 4912 in resolution, with a single raw file measuring up to 76MB. As a result, you'll need to have plenty of reliable storage space for your files if you choose this model, whereas the D700's comparably more compact files – up to 4,256 x 2,832 - are less demanding in this respect.